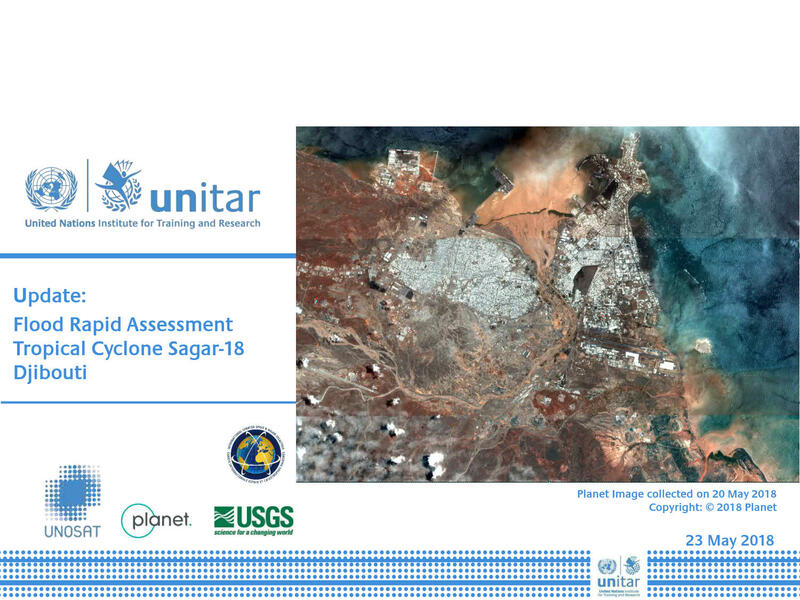 UNITAR-UNOSAT, following the request of UNOCHA Djibouti , has performed a flood analysis to illustrate the potential impact in the wake of Tropical Cyclone Sagar-18 over the city of Djibouti. Severely affected: as of 20 May 2018, water and mud are visible on 80% of the roads and streets analysed, surrounding the nearby buildings almost completely. Partially affected: as of 20 May 2018, water and mud are visible in some sections of the roads and streets, surrounding the nearby buildings only partially. Possibly affected: as of 20 May 2018, no visible evidence of water and mud.